Drive Maui’s Hana coast and you’ll encounter black sandy beaches, spectacular waterfalls, and several lessons on great leadership. The first few miles offer picturesque views of the waves crashing the coast. That quickly gives way to 30 miles comprised of a narrow winding road that offers eye popping views, many of which occur at one of the 59 bridges. The majority of the route has a speed limit of 20 miles per hour or less. And that is where you learn the first lesson of effective leadership: It requires patience. Just as when leading others, go too fast, and the inevitable outcome is disaster. Great leadership requires patience. 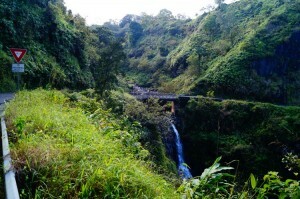 So does the road to Hana. The terrain is rugged. The mountains are unforgiving. The width of the road is as tight as the space between your teeth. More than half of the 59 bridges are single lane, and as a result, signs in both directions advise drivers to yield to oncoming traffic. It’s tempting to just go and hope for the best. That’s the kind of thinking that leads to massive failures of leadership. Conversely, by allowing others to go before you, you demonstrate humility and respect. Those are the foundations of great leadership. Clinging to towering cliffs, the road is full of very steep and sharp curves surrounded by flourishing rainforests. The blind curves represent a significant hazard as it is quite easy to have a head on collision if the curves are not approached with caution. With so many tourists from all over the world sharing the same route with you, you never know what to expect in the other drivers you encounter. It can be frightening to drive in the midst of such great uncertainty, yet just as great leaders do, you keep moving forward and making progress despite the lack of clarity and consistency. As you make the journey to Hana, you begin to appreciate the fact that this is one of the last unspoiled landscapes you may encounter in your life. Pristine waters flow along creek beds forming the majestic waterfalls that support the luscious fruits and plants Hawaiians have harvested for centuries. The inquisitive tourist on the road to Hana is just like a great leader in that s/he stops to learn about and show respect for the local culture. I was intrigued by the number of warnings we received about having enough gas for the roundtrip journey. With the route being just 52 miles one way, I wondered what’s the big deal? The big deal is there are no gas stations along the route, so if you run out of gas, you are going to be in a bit of trouble. Cell phones don’t work, and the emergency call boxes are miles apart. Great leaders plan and never purposefully take their people on a journey with less than adequate resources. The road to Hana is a stark reminder of this basic and incredibly important principle. 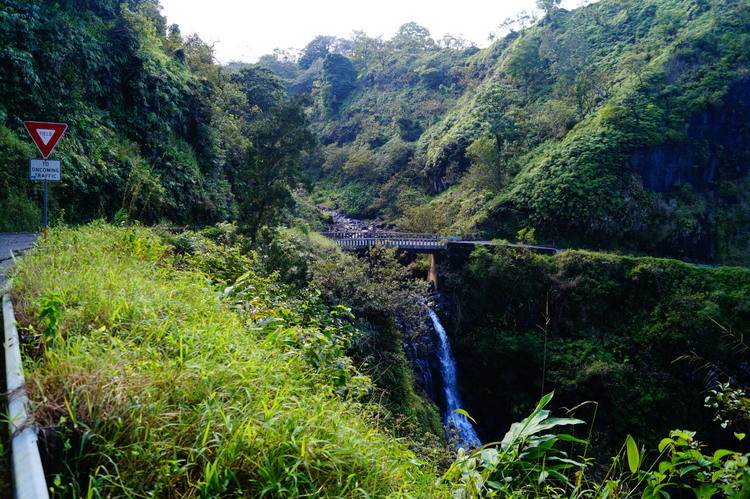 Driving the road to Hana is one of the most memorable experiences of my life, and the same can be said of the experience great leaders create for their people. Effective leadership is about the basics and common sense – the same skills required to navigate a road that opens the door to immense beauty in its rawest forms. If you’ve driven the Road to Hana, what other lessons on effective leadership would you add to the list? Please share them in the comments below.